Home game solution how to How to Fix NFS Most Wanted Lan Problem Online and Offline? Need for Speed Most Wanted is most popular Computer racing videos game from 2005. We do like to play against others in LAN. But most of the time we see there have disconnecting problem while trying to get connect on LAN server. Most of the people don't know what to do that time. Today I can give you the perfect solution about LAN Fixing of Need for Speed Most Wanted Black Edition. There have lots of cracks that works for this game but sometimes crashes too much. Today I am giving the most perfect cracks which is gonna work for you good and games never gonna crash. Follow the bellow instructions. This instructions of cracks also works for Game Ranger NFS players who face server disconnecting problem. All file will be downloaded in Zip file. Now You have to extract all zip files. 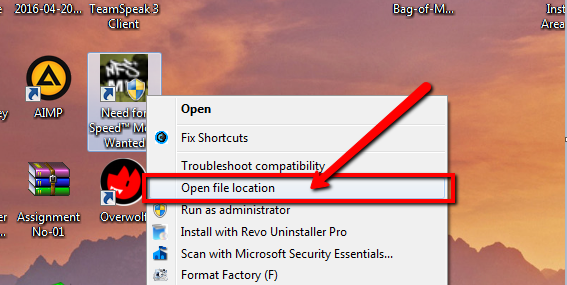 To unzip you need winrar If you don't have winrar software then click here to download winrar. After download it install in your PC. Now you can extract or unzip all files which is zipped using rar software. Now you need to extract all three downloaded file. 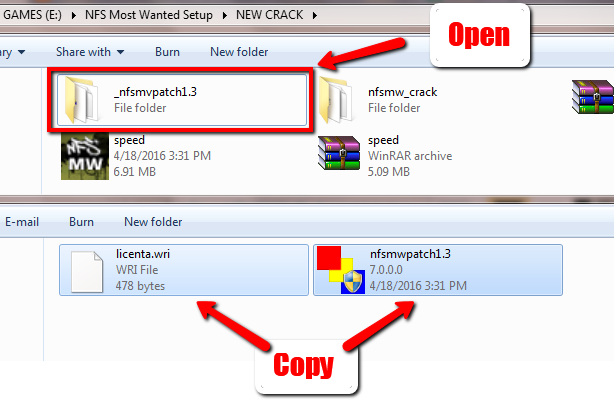 After extract first you will see a file name "_nfsmvpatch1.3" open it and copy all files from here. Now Go to games file location by following bellow image and paste is here. Now click to go for copy Speed exe. And paste to the same location. After that click on it and go to open its properties. 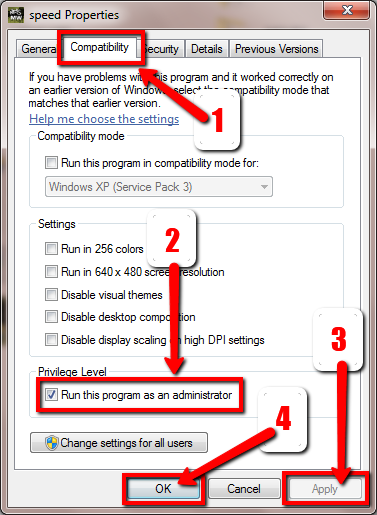 Then you will see a pop up window now here go to compatibility then click on select button of "Run this program as an administration". Now click on Apply and OK. For understand clearly follow bellow image instructions. Now one more step you have to do which is very important for LAN fixing. 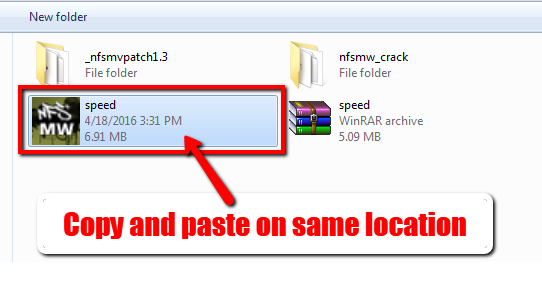 You will see another file name "nfsmw_crack" open this file and copy everything from this file. 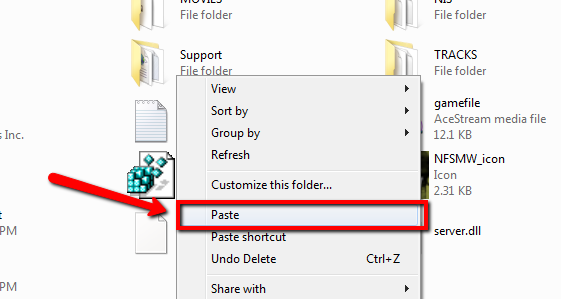 Then paste it to the same location of game files. After that you have to activate the crack by clicking on "LAN connecting FIX" and "Nfsmw" Crack. Follow image instructions. After open both one by one you will get two Registry Confirmation Notification Now click Yes and then another window will open there click OK.
From now you can play Need For Speed Most wanted easily without having any LAN disconnection problem. This is tasted by me and 100% works for everyone. I think you won't face any problem. If you face any problem then let me know by comment bellow what problem you are in. Thanks for stay with me and don't forget to share with your friends. It can be helpful for them also. Hey your problem have been solved... Sorry for inconvenience. Hello! I'm having a issue about nfsmvpatch1.3 patch. On the video, I see you clicking on the patch and the game updates correctly (at 2:00), but when I do that, I get a message "Update Aborted". What should I do? Ty! Hello Golden Girl... I never faced that problem before. But if after following my instruction its showing issue then it would be better to install the game again then use all those cracks and patch. Before install delete installed files or you can uninstall. Better way install this game on any drive except C drive. I think it will work perfect. the speed.exe is corrupted whenever is extracted it any help? cual es la clave para descomprimir el archivo??? No necesita ninguna clave para descomprimir el archivo. Simplemente haga clic para descomprimir. No pedirá contraseña ni clave. It will asking for CD ROM when you make mistakes of following my instructions above. There I have already explained well. After giving patch you have to copy paste and replace the Speed.exe crack. So if you didn't do it after the patch then it will ask for CD ROM. I think you understand now. Please follow the above post instructions carefully. Hey @Hrushikesh, That file you mentioned is totally good. Now you should download it again and extract again. This type of problem shows when file doesn't download properly or space limitation and also can be several problems. Try to download again. If still you can't then its not my files problem something wrong on your computer. Check Now on download links page I have also shared alternative download links. Try those links to download files instead of previous link. Yea That was a crack thats why mediafire was blocked and showing as a dangerous file. Now I have already changed the download link. Check now. Sorry for late response. Download link have been fixed already. You can check now. Thanks for the upload bro. because of your work we are having fun. Sorry to hear that problem but its not a problem... See carefully when you will goto the download you will see all download links are available on that page then click on NFSMW_Crack and you will get a new page opening with mediafire there your download link will be generated with mentioning size also. You just have to wait for a few second and download will be ready. Now you are good to go for download. I think you understand. Thanks so much Ismail Hossain.